For our 7th annual Winter Party, IVY is giving back and focusing on social impact. 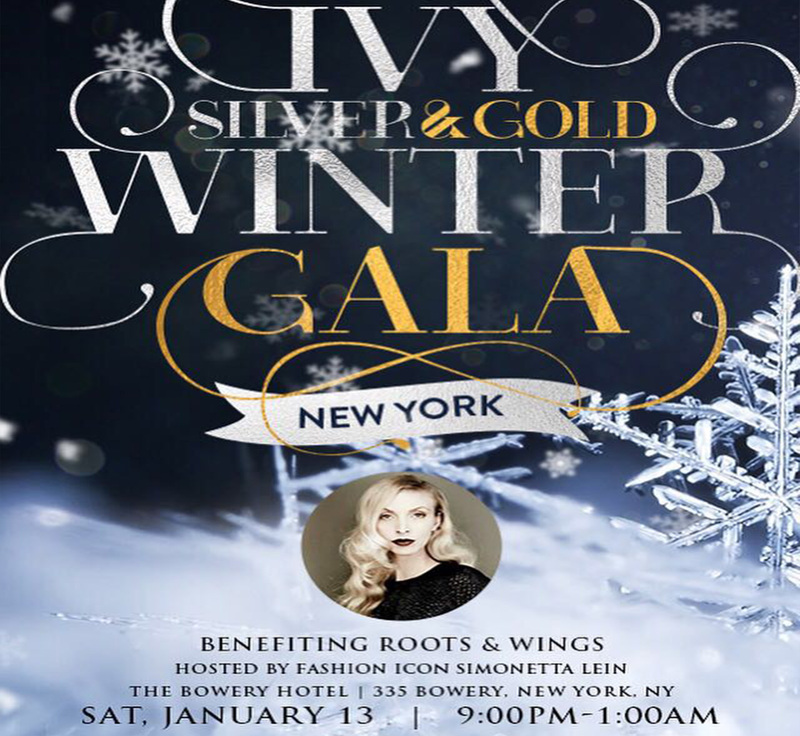 We are thrilled to host the Silver & Gold Winter Gala in partnership with Roots & Wings, a charity that fights poverty and seeks to empower its families. In New York City, we are proud to introduce our celebrity host for the Winter Gala, fashion icon and social entrepreneur Simonetta Lein. A champion of social impact, Lein is the founder of The Wishwall, a nonprofit that fights severe poverty and oppression in the world with a mission to “pay it forward.” In this exclusive IVY Magazine interview, we spoke with The Celebrity Wishmaker to learn more about her background, her passions, and what drives her to serve those in need and make wishes come true. Oh wow the Silver & Gold Winter gala sounds amazing! I wish I was there so I could attend! !